Caves have always been interesting to me, but I can’t say I have ever had a desire to spend too much time in them, let alone sleep in one. 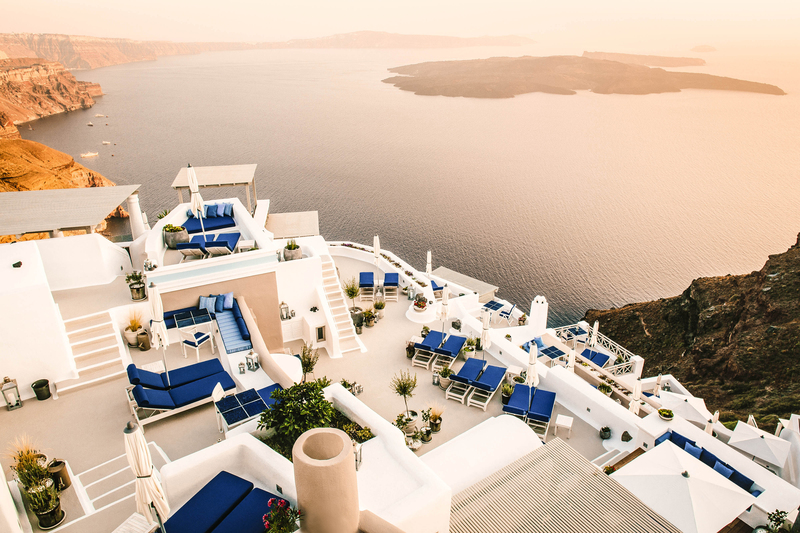 That has all changed since experiencing the Iconic Santorini, located in the picturesque village of Imerovigli, Santorini, Greece. I knew this five-star distinctive boutique cave hotel had to be good. 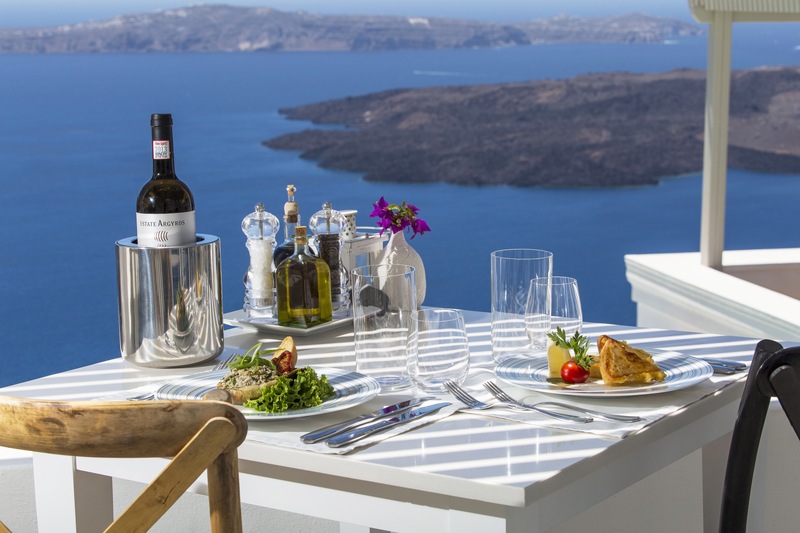 After all, in 2014, it was awarded the following: Travel Award 2014 Winner Greece’s Leading Boutique Hotel; Certificate of Excellence Travel Award; The Smith Hotel Awards, Top Ten in the World; and Tatler 101 Best Hotels in the World – Tatler Travel Guide. We arrived at dusk. Why was my heart beating so fast when I looked down the side of the cliffs with the narrow passageways? How was our luggage ever going to make it down those stairs, let alone me? Met at the top by the hotel manager, we followed the stairs with well-placed railings and signage to the cave reception area. It was so welcoming and comfortable. Before I could ask about our luggage, we saw the workers carrying down our luggage by holding it over their heads. If they do that on a daily basis, up and down, they certainly do not need strength training. We were then led to our cave hideaway room, carved out from the rocks, where champagne was awaiting. All the walls are painted white, and its smooth curves relax you. The rustic furniture, combined with a modern flat screen television, is comforting. You may discover a distressed rocking chair, a metal shoe rack or clothes rack, but they all add to the sense of place. Instead of anything feeling old or antiquated, it all seems welcoming and comfortable, especially the bed. Beds used throughout are COCO-MAT® four layer oversize beds. This is topped off with wonderful amenities and the use of Aēsop® bath products, sheer luxury. What may be in one room, won’t be in another, as far as furnishings. 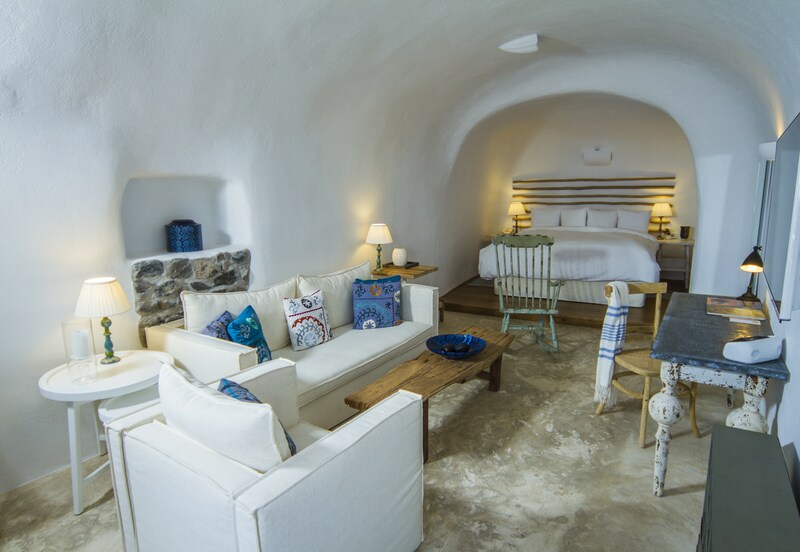 The twenty-two individualized cave residences and suites, over five levels, are designed to convey the Greek-style, which complements historic Cycladic architecture that honors the original cave architecture found throughout Santorini. During the daylight hours, this architecture was evident on the side of the island. 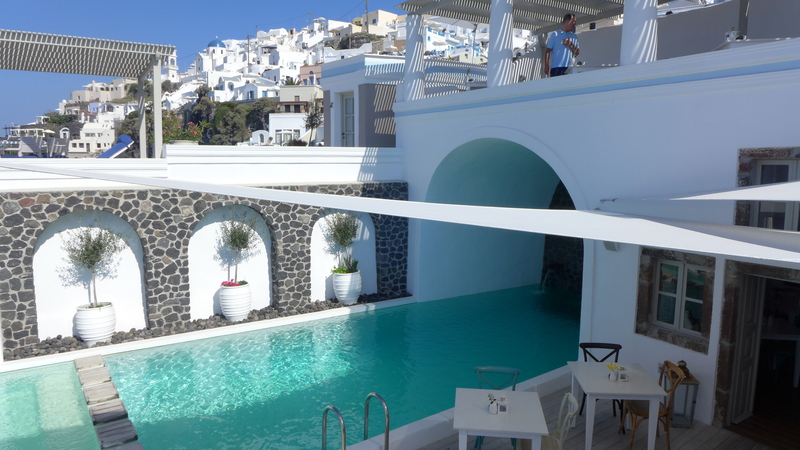 However each hotel maintains its own personality, and the Iconic Santorini is one we’ll never forget. 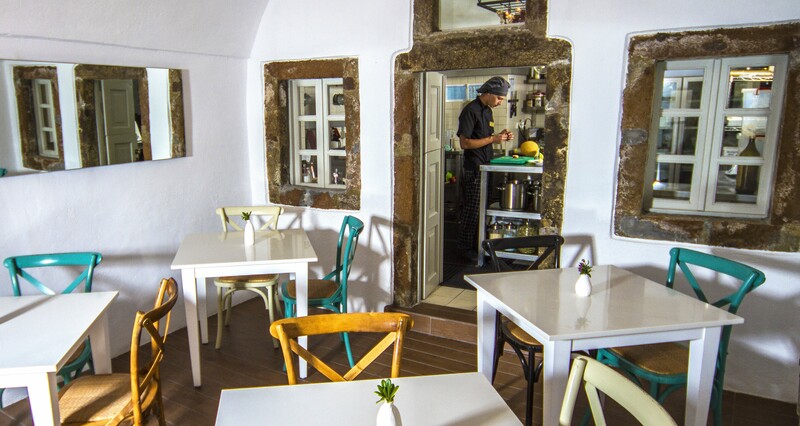 The Iconic has an authentic home-stye restaurant that serves breakfast, lunch and dinner. There are also numerous private dining areas and terrace seating and lounge areas. 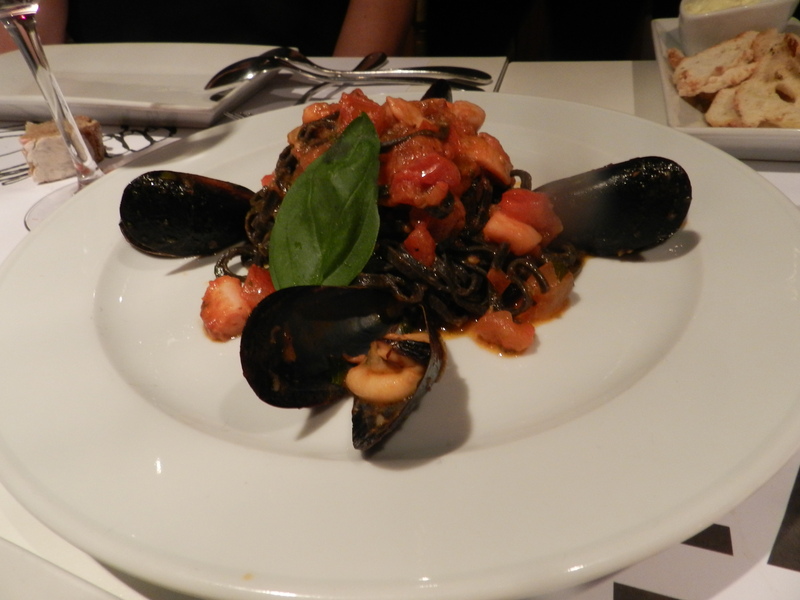 They describe the food as home-style, but it was well beyond ordinary. After all, you are staying in a five-star property and what is served lives up to a five-star standard. We were able to enjoy our breakfast on our terrace or in the dining room. It was our choice and so was the timing. 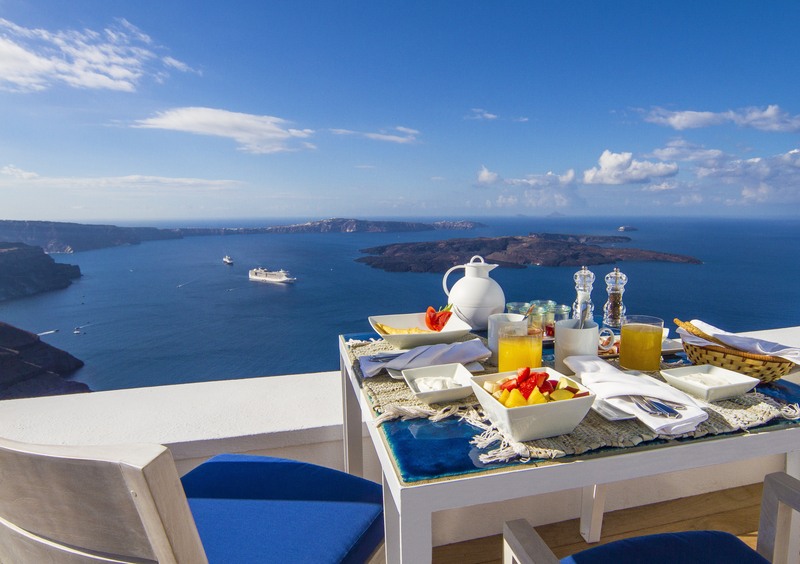 Our choice was to enjoy our delicious breakfast, as we relaxed on our terrace and imagined the beginning of each day and what it held. Our dinner was so delightful in one of the smaller dining areas. A second night after being invited to go to the other side of the island to a lovely restaurant, we chose to return to the Iconic and enjoy Iconic’s peacefulness, as we gazed out at the Aegean. 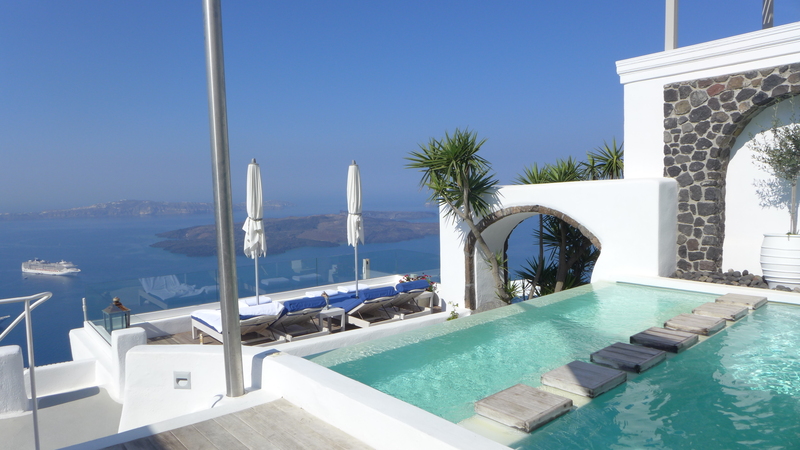 I’ve dwelled so much on the rooms, I’ve failed to comment on the terraces, lounges and pool areas, making up the hotel that carved from the volcanic wall of the caldera. 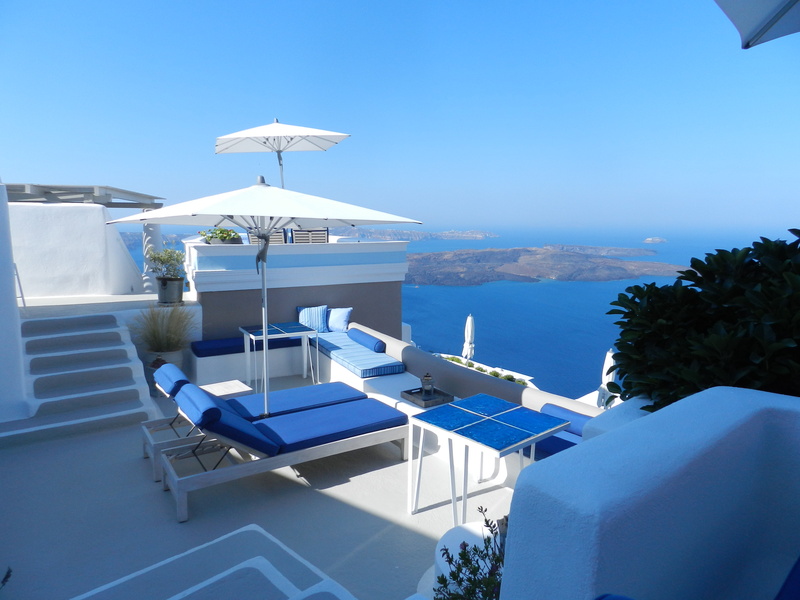 This tranquil retreat provides one breathtaking view after another of the sparkling azure waters of the Aegean Sea from all five levels; there are no bad rooms or terraces. All of this sounds good, but would be daunting without the absolutely wonderful staff that all provided exceptional service. The hotel was full while we were there, yet each and every guest felt like a good or close friend or family. As a people watcher and someone who watches service staff, the service was amazing. This was a unique luxury Imerovigli hotel, where guests were the priority. 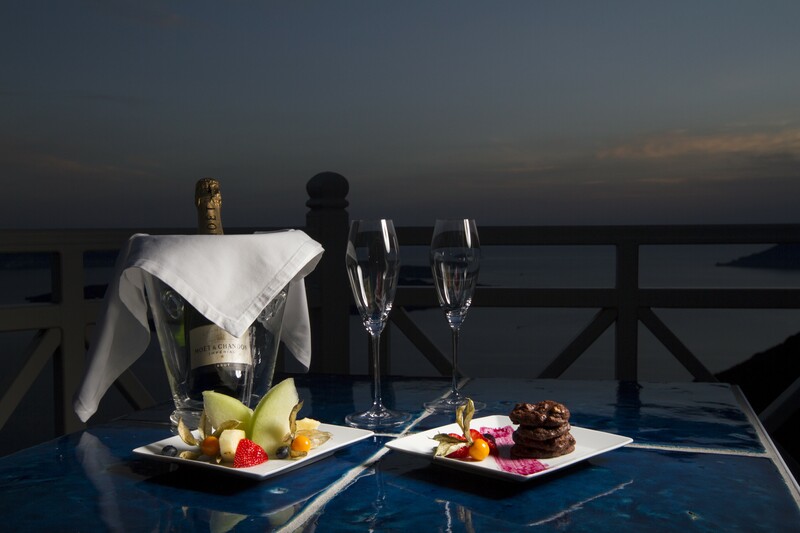 Its Hellenic hospitality focuses and ensures magical moments. 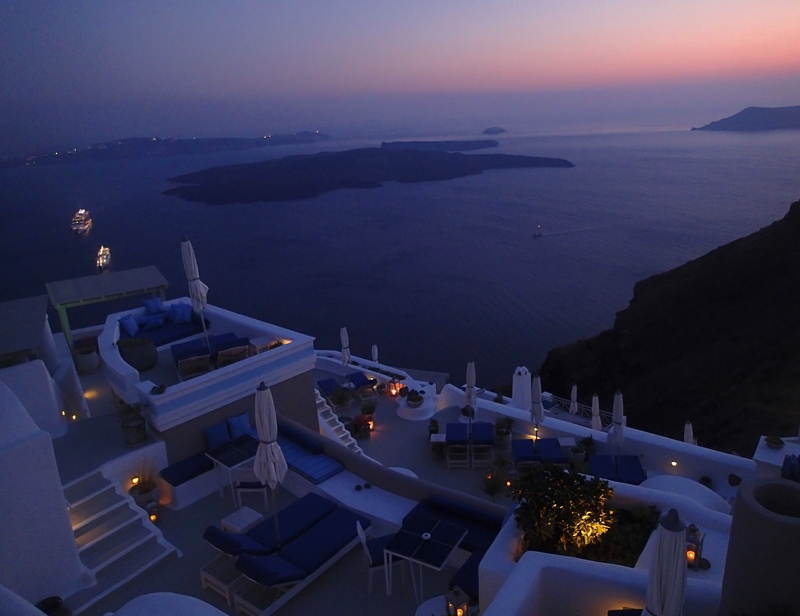 The Iconic Santorini Concierge staff was terrific and well-experienced ambassadors for the island of Santorini. They were available all day and evening to assist with any need. They assisted us in lining up a tour of Santorini. 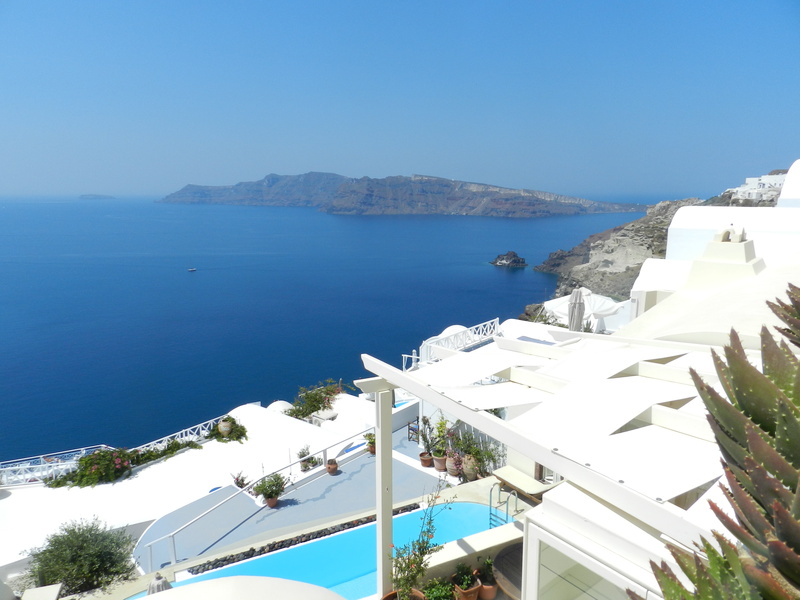 As much as lingering by the pool, or sitting on the verandah, reading and relaxing, sounded good, we were here to discover Santorini. Arrangements were made for us to have a private tour with “Your Greek Friend,” www.yourgreekfriend.com. Tours are customized to your own desires. We visited a market, cooking school, restaurant, village, winery, etc. Individuals who live and know the area guide you. Guides are available who speak Portuguese, French, Spanish, English and Greek. One of the mornings, rather than take a taxi into the nearby village, we walked the rocky path to get our exercise. After our two-mile excursion and walk around the village to make some purchases, we opted for the taxi back to the hotel. These include: Outdoor infinity pool with jetted tub seating; complimentary use of gym with professional quality exercise equipment; spa providing single or couple massage with indoor grotto pool; complimentary wireless high-speed Internet access throughout property; multilingual and staff. The stairways that intimidated me at first sight became second nature. Moving up and down levels to reach different areas of the hotel was welcome. Other guests seemed like friends, and, again, the staff rate as some of the best we have ever experienced. 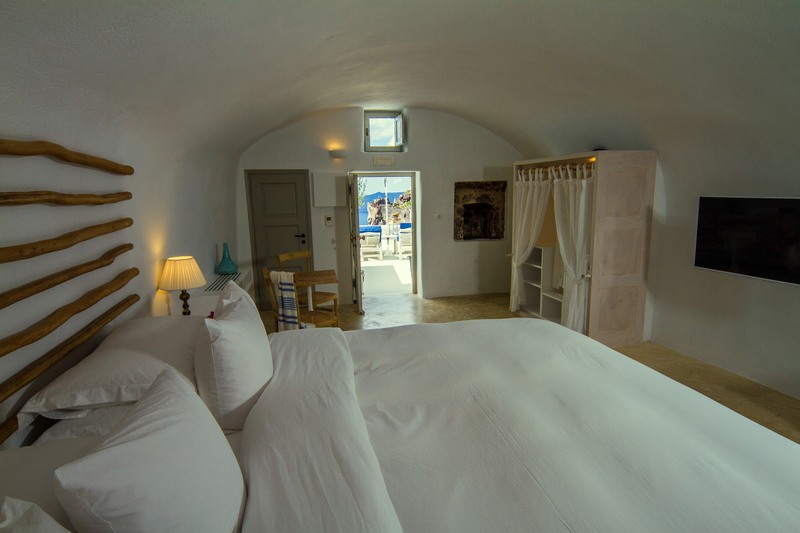 Since Norm and I have now stayed at the Iconic Santorini, when we see another award pop up for it, it will not shock us. Instead, we’ll know it is well earned and deserved. 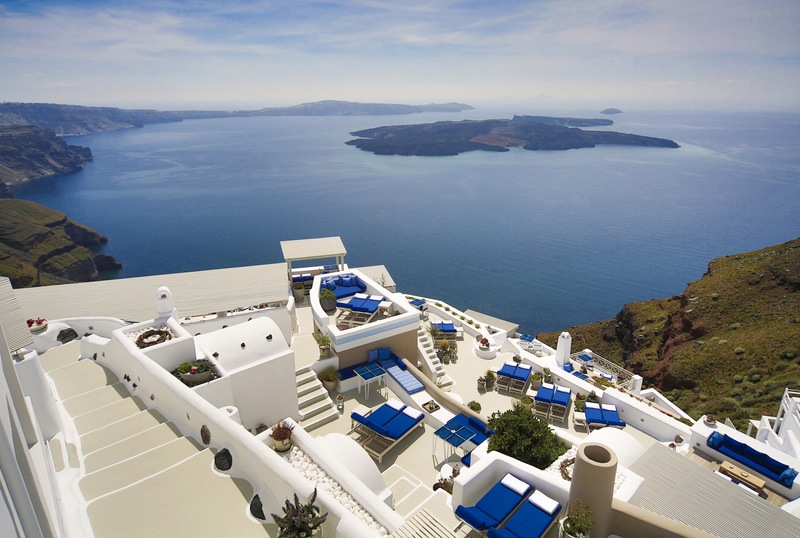 If you find yourself trying out the Iconic Santorini, let us know what you think by writing a letter to the editor. For your information: The property is closed during the winter period from November to April. This is an annual closing and the property is completely given a thorough once-over, to be sure every aspect is up to standards. 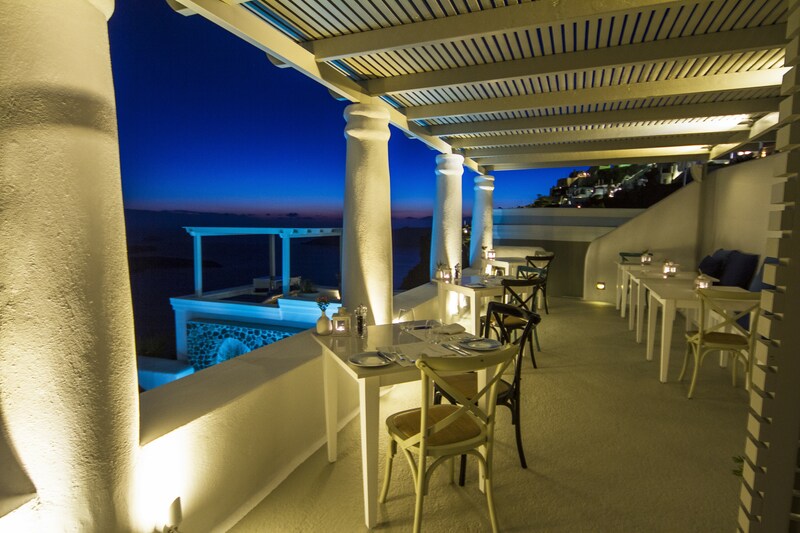 In the meantime should you require any information or booking assistance please contact us at reservations@iconicsantorini.com. The office responds rapidly. 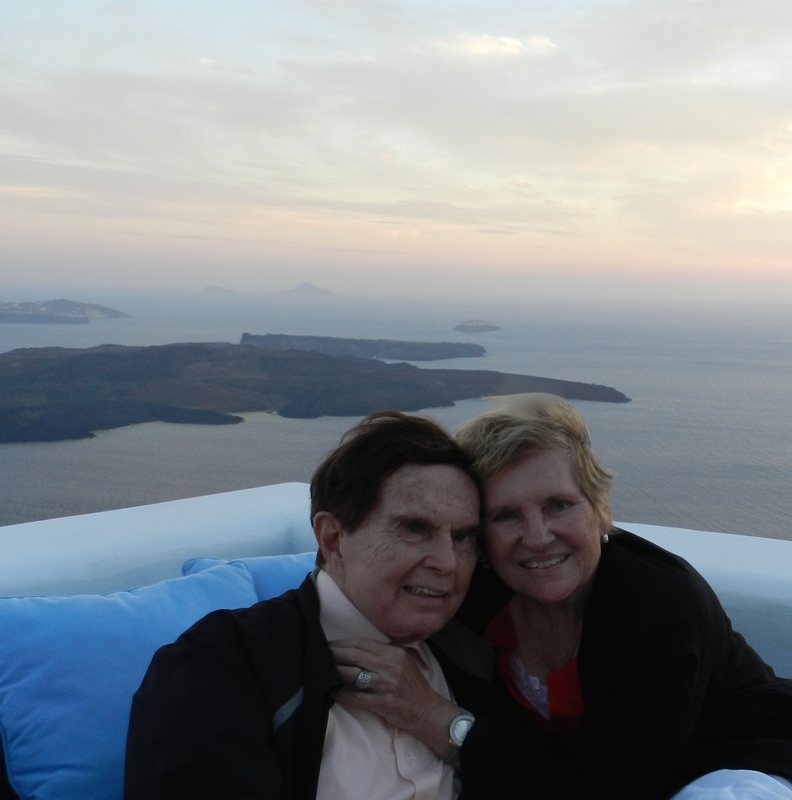 Having experienced the Iconic Santorini, Norm and I look forward to featuring more of their properties.